Jimmy Cipriani Where it all started. Welcome to Cip’s Place, named for long time Islander Jimmy Cipriani. Jimmy, or “Cip,” (pronounced “Sip”), was the former owner of this property. He was a common sense, down to earth man who always had a story to share, a cause to support and most importantly an invitation to lunch or dinner. Jimmy always made time for good conversation, good company and great food. We wanted to make this restaurant exactly the kind of place that Jimmy would want to go to. So this is Cip’s Place. A casual, comfortable place to relax, enjoy good food and good times while being reminded of the old days on Sanibel. 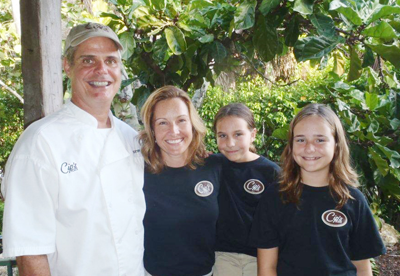 Cip’s Place is home to Sanibel & Captiva’s wall of island faces. 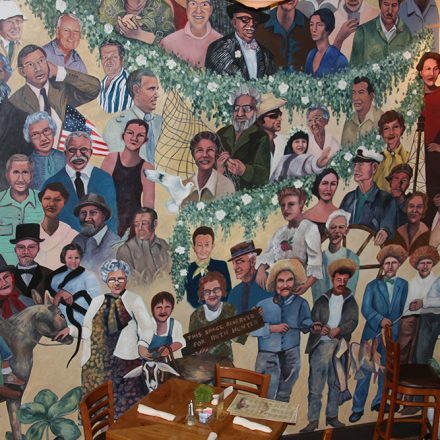 The mural was painted by two local artists and depicts many of Sanibel & Captiva’s most well-known and instrumental people in molding the Islands into what they are today. 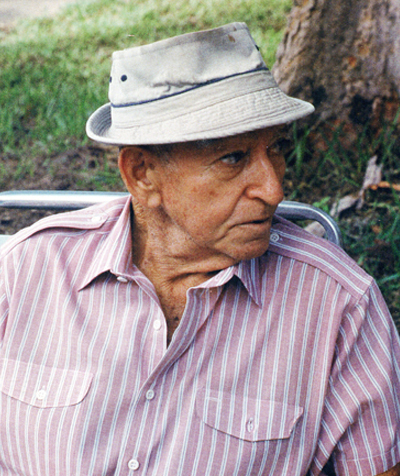 Portraits of Porter Goss, J.N. “Ding” Darling, The Bailey Brothers, and of course the late Jimmy Cipriani (nicknamed “Cip”) who is our inspiration and groundwork for Cip’s Place. While at Cip’s, feel free to peruse through the history while flipping through our many scrapbooks of time. Anne Kearns, a former islander, has pulled from her many archives of past events to unveil events and celebrations that make what the islands are today. Take a trip down memory lane and relive the last ferry boat to the island. After the Sanibel causeway was built to replace the ferry in May 1963, the residents asserted control over development by establishing the Sanibel Comprehensive Land Use Plan in 1974 helping to maintain a balance between development and preservation of the island’s ecology. A new, higher bridge, permitting passage without a bascule bridge (drawbridge) of tall boats and sailboats, was completed in late 2007. Cip’s bar is modeled after one of Sanibel’s original ferries, Islander.